Could Guest Posting be the Perfect PR Launch Pad for Your Business? Expert. It’s a short word that conveys a lot of meaning. Whether you are working in a company or are an entrepreneur, you likely want to be known as an expert or authority in your field. The big question is how to take your skills and knowledge turn that into expert status. While social media acts as a platform for experts, if you are just starting out it can be difficult to cut through the clutter. Twitter alone has an average of 58 million tweets per day, so you may have a hard time getting your four or five tweets a day noticed by anyone. Even with amazing content and ideas, to break into the expert realm, you should consider to adopting some classic PR tactics. When you think about PR it may feel a bit old school. PR often gets overlooked in favor of the latest and greatest platforms but there is a reason it has been around for so long. It works, especially in a world super focused on social media. 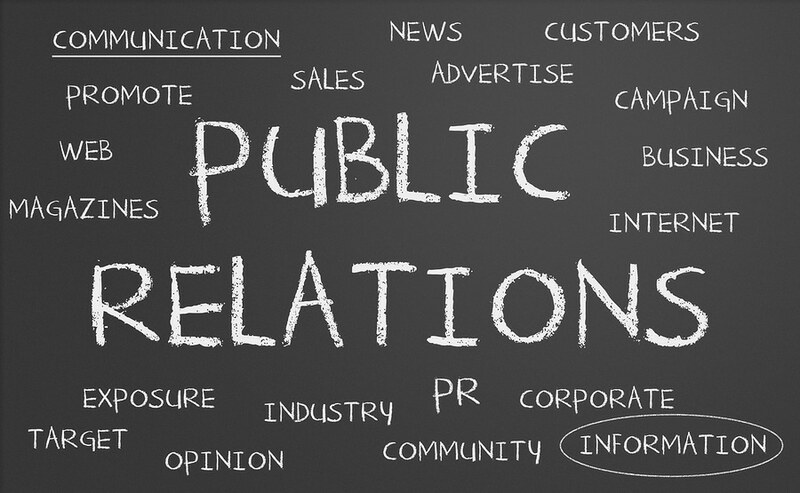 When PR is used in conjunction with social media, it can help you put your name on the map that much faster. For new or lesser known experts, authorship programs where you place guest blog posts offer a proven and practical way to support marketing and business goals. Sure, you can tell everyone you are an expert, but having articles you’ve authored on the top blogs in your niche says it for you. As a strategy, guest blog posting has taken a few minor hits as several high profile blogs announced they would no longer take guest blog posts. Then in July 2013, Google announced it was making changes to its link building scheme, and certain types of links in guest posts would be penalized. 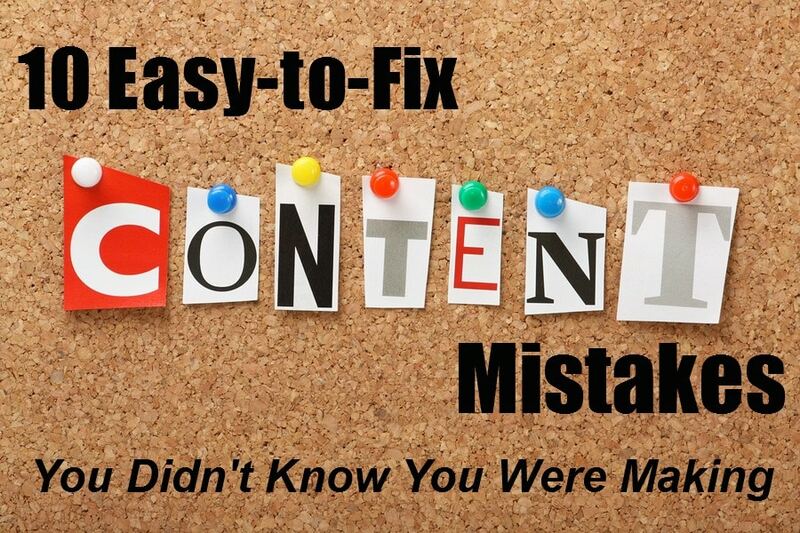 What all of this means is that if you insert links into your articles they need to add value. 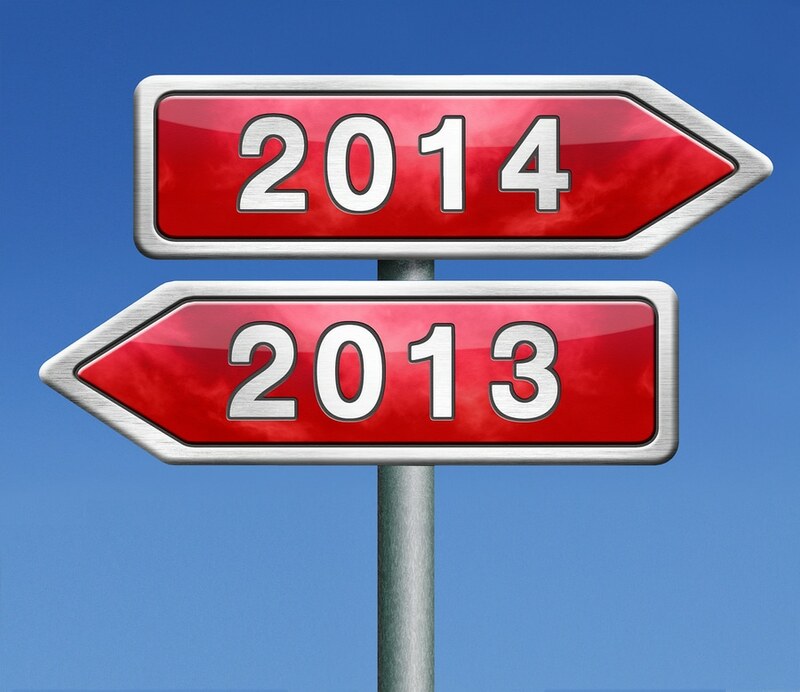 This change is positive for guest posting programs as it helps improve the overall quality of guest posts. Despite these developments, rest assured, guest posting is alive and well. For would-be experts, writing and placing guest posts is truly the perfect way to get started with PR. You can control the message, test out story ideas, and do it all on a shoestring budget. It is no accident that when you land on a top blogger or podcaster’s web site that they have the logos of blogs or media outlets where they’ve featured. By guest posting, you can quickly build up a portfolio of your work to showcase on your site either by using logos and/or creating a press page. That information acts as shorthand for prospects and influencers when they visit your site. With a quick glance, they can see you are respected within your industry. For speaking engagements, conference organizers can see you have a track record providing new ideas and stimulating discussion on timely topics within your industry. One of their goals is to showcase speakers that draw attendees, so if you have been out there creating buzz, you are going to be much more appealing as a potential speaker. Plus, guest posting can expose you to new audiences and connect you to key players in your industry. While you should always guest post without expecting anything in return, throughout this process you will build relationships with bloggers and editors and become better known in your industry. Over time, more people will read your work giving you an even bigger platform as an expert. All of this helps to open up doors you may not have imagined. Great businesses are truly built one relationship at a time and a well-written post may result in a dream client or a show organizer wanting you to speak at their event. You just never know. As you have been guest posting when you start pitching mainstream media, you’ll have far more credibility as an expert source. When they Google you or visit your web site they will quickly be able to get a sense of who you are. The writer, editor or producer will see you’ve been out there talking about related topics and understand that you are a credible source for a story. Pitching mainstream media can be intimidating, especially starting out. Through guest posting you will have a chance to refine your message and build confidence sharing your stories. When it’s time for you to pitch the media, you’ll have the confidence you need to sell the story or pull off a killer interview. In short, you’ll be ready for your big break in the mainstream media and be able to make the most of it. Guest blog posting offers any expert an ideal platform for building awareness and credibility than can act as a key building block for other PR opportunities. 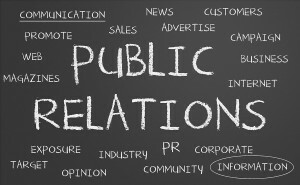 PR should not be overlooked but serve as a complement to social media or other marketing efforts. 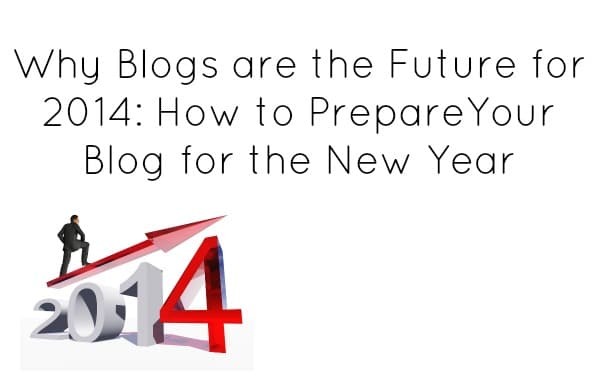 How has guest blog posting help build your expert status? Share in the comments below. Last year, you couldn’t walk ten steps down the hall of any business conference without hearing the words content marketing. Bloggers have been doing it for years, but the idea of content marketing and how it can help your business has been thrust into the spotlight. More recently, however, the mummers I hear center around a different buzz word: influencers. Influencers aren’t the people in your industry who start trends or break new ground. They’re the people in your industry who spread the trends and report the news. They turn a kernel of an idea into something everyone is talking about. So, business owners are starting to realize the advantages of connecting with influencers and turning them into brand advocates. Working with influencers not separately, but as part of your content strategy, means doing more than just connecting with the right people so they talk about your business. It means integrating them into your plan for spreading educational, inspirational, and entertaining content. Influencers don’t even need to mention your brand to have a serious effect on your bottom line. Step One: Identify the influencers. These are NOT necessarily the people with the most social followers. Quality is more important. How likely are those followers to do what the influencer says? I know people on Twitter with millions of followers who don’t have the influence that someone with ten thousand has. In addition, someone who has a ton of influence may not be right for your specific needs. How likely is the audience to be looking for the kind of content you have to share? The more targeted the audience, the better. Step Two: Determine the type of content you can create. Every influencer will be different, and your budget also plays a factor here. One of the best options is to have an influencer create content for you in the form of blog posts and videos, but the bigger the influencer, the bigger your budget needs to be (unless you have something else to trade, like free service/products, a large audience, etc.). You can also look at ways to create content that puts more of the work on YOU. Interviews, for example, are an awesome way to have an influencer create content for your brand without you needing a huge budget. You can also quote them in your blog posts (like I’m doing in this post for example) or do case studies. Most influencers will share content where they are featured. Lastly, you can also create content that answers questions an influencer poses online. In this case, you’re targeting that influencer, but in an indirect way. This is the easiest option, but also has the lowest potential of an influencer sharing your content. Step Three: Reach out to the influencer and begin building that relationship. When you publish a post that features someone or answers a question, let the influencer know. One of the biggest mistakes I see people making (and a mistake I’ve made in the past) is creating awesome content, but being too humble or shy to reach out to the people who should be spreading this content. Don’t spam people with links, but let them know when you’ve published something of value to their audience, especially when it features them. Also important: if you’re paying for an influencer to create content for you, make sure you discuss promotion as well. If a large parenting blogger writes about your brand of cereal but doesn’t tweet the link or pin an enticing image, that post might go unnoticed. Always set clear expectations not just for the content creation, but also for the promotion of the content. Don’t Forget About Our Giveaway! 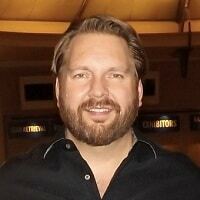 I’m featuring Lee today not only because his advice is super smart, but also because we recently announced that he’ll be presenting a keynote at NMX 2014 in Las Vegas this coming January. If you missed the keynoter announcement, check it out for more information about all five of the keynote speakers we announced. To celebrate, we’re giving away previous sessions from all of our keynoters. Yes, they are completely free! Get access here before time runs out! The entire point of social media is to promote your business, right? Well, yes…but in a social way. It’s about more than just broadcasting. Sure, you can send out tweets that include links to your website or blog, but you also want to interact with your followers. Jump into relevant conversations. Be helpful when someone asks a question. Follow others in your industry and those who are potential customers. If you aren’t using the “@” reply function often, that’s something that needs to change. Southwest Airlines is a great example of a company doing this right. They are constantly retweeting and replying to their customers. When using social, I think it’s great for the personality of your company to shine through. You aren’t just a giant logo. There are real people behind your social account. But there’s a difference between showing your personality and getting personal. If you’re a business or brand on Twitter, you don’t need to tweet out pictures of your meal or rants about your flight being delayed. Save that for your personal account. Keep your Twitter interactions relevant to your business. Bill Gerth (and Frank Eliason before him) for Comcast does a great job at this at @comcastcares. Talenti Gelato (who we profiled here) and GrubHub are also awesome at letting their personality shine through while still making it about their respective businesses. If you can’t commit to tweeting daily, get off of Twitter. No, really. It looks bad if someone asks a question on Twitter and you don’t reply quickly. An abandoned Twitter account is worse than having no Twitter account at all. Promotional updates are okay. After all, you’re using social media to promote your business. However, if you’re only promoting yourself, your tweets can get old quickly. A really great option is to start a blog and also promote your links to education or entertaining topics. If you run a lawn care company, don’t tweet yet again that you’re available for landscaping. Tweet a link to your post on the “10 Best Celebrity Yards” or “How to Get Rid of Summer Garden Pests.” Get people reading on your site through content marketing and then sell them on your products or services once they’re a fan. Lastly, are you following hashtags in your industry? Hashtags (using the # symbol before a word or phrase) allow you to see what people are saying about a specific topic. Following these hashtags allows you to identify problems, jump into conversations, and find new followers (and potential customers). Always be listening to what your target market is saying. 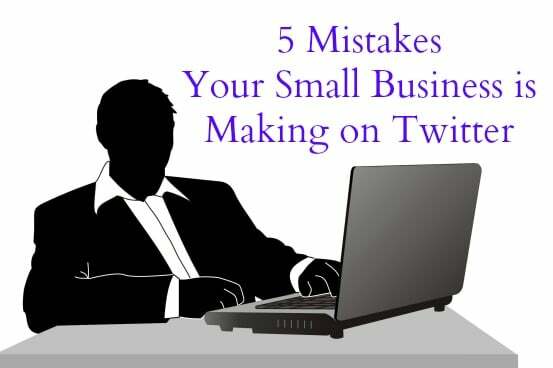 What’s the biggest mistake you see businesses making on Twitter? Leave a comment! Whether you write about GPS systems or accounting software, you know blogging about business-to-business (B2B) topics gets boring quickly. As time goes by and you keep pushing for new topic ideas and trying to find more time to write about them, you often find yourself feeling uninspired, bored, or otherwise wishing for a way out. So you have to ask yourself: How can I avoid this problem in the first place? To help answer that question, here are five ways to avoid getting burned out as a blogger! A little healthy competition can be a good thing. When you watch the other guys churning out quality content time and time again, you know it’s possible. What’s more, you’re challenged to try to keep up. Hopefully you’re already following a variety of other blogs in your industry, but if not, do some research and subscribe to a handful of the best. Then use them to keep yourself motivated. Finding inspiration goes hand-in-hand with eyeing the competition—by continuously taking in relevant content, you set yourself up to be inspired. 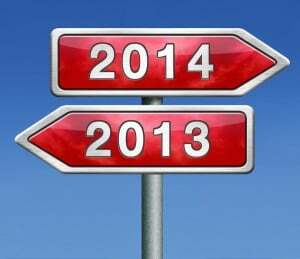 Follow blogs in your industry, media outlets relevant to your field, interesting users on social media, and so on. Anything that serves to cultivate fresh ideas and concepts is worth using. When it comes to blogging, your load gets lighter when you ask for help. Who else on your team could contribute? If you’re a one-person operation, could you enlist guest bloggers? What series could you launch and then ask colleagues to contribute content? By delegating part of your blog work, you free yourself up to stay inspired. When you’re stumped for new topic ideas, don’t quit blogging—think about a blog post that’s different from the ones you’ve been doing. If you typically share your thoughts, why not post a roundup of other articles from around the Web? Or perhaps you might interview an industry authority, review a relevant book, or create and post a unique infographic. By letting yourself think outside the box, you expand the ways blogging can work for you. Setting an editorial calendar for your blog, in which you plan a month’s or a quarter’s posts ahead of time, may sound daunting. The truth is, though, that knowing what you need to write ahead of time is half the battle. It’s harder to feel uninspired when Friday’s topic and synopsis are right before you. Likewise, when you set your schedule, be realistic about it. If you know you are only able to write once a week, set your calendar accordingly. This not only helps you avoid frustration and burnout, but it also gives your readers clear expectations about when you post. What do you think? Have you experienced some sort of blogger burnout from time to time? What could you do about it? If you’ve tried one of the above strategies, has it helped? If you haven’t, what are you waiting for?